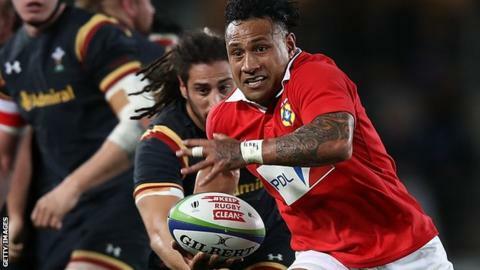 Tonga international scrum-half Sonatane Takulua has signed a four-year contract extension at Newcastle Falcons. Takulua, 26, was out of contract at the end of the forthcoming season but his new deal will now run until 2022. The 23-cap half-back has scored seven tries in 32 games since joining Falcons, including six in 19 appearances last season. "I was hoping the big boss [director of rugby Dean Richards] wanted me to stay," Takulua said. "I was glad to get it all sorted quickly and I know my wife and kids feel the same about life here. I feel like I've made progress every year I've been with the club, and I'm not about to stop." Richards added: "He is a top international-quality scrum-half who has shown he is capable of a consistently high level of performance."